1. I was going to taste their High Five IPA, official beer of LBW. *If someone on the street asks you to ‘go inside a crate for a taste experience’ I suggest you back away rapidly. Beer and food pairing is all the rage, innit? Well, it’s something I’m interested in anyway. On the one hand I’ve always been very ‘ignore the rules, drink what you like’, but that said, there’s no denying that choosing the perfect beer can really bring out the flavours in food (and vice versa). 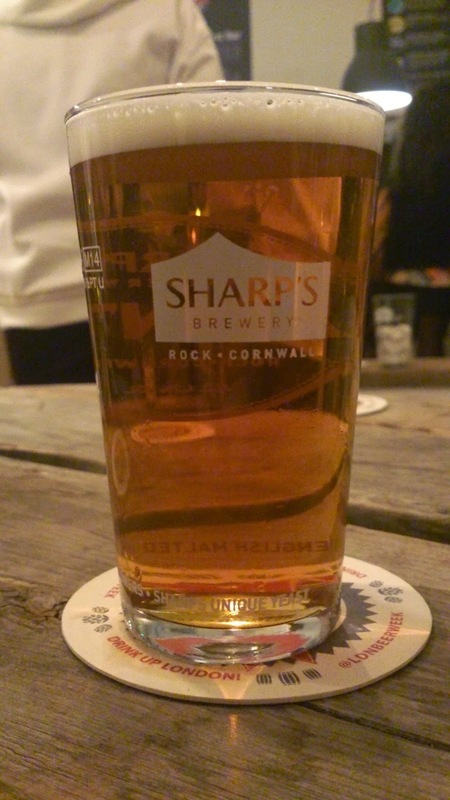 While I’m fairly confident with the typical matches, such as curry and lager or chocolate puddings and treacley stouts, I struggle when it comes to the less obvious choices. 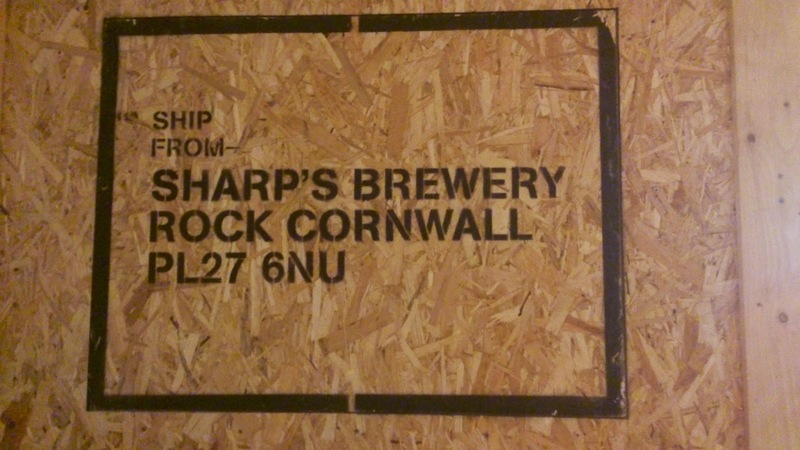 Well, luckily Sharp’s Brewery were there to help me with just that. 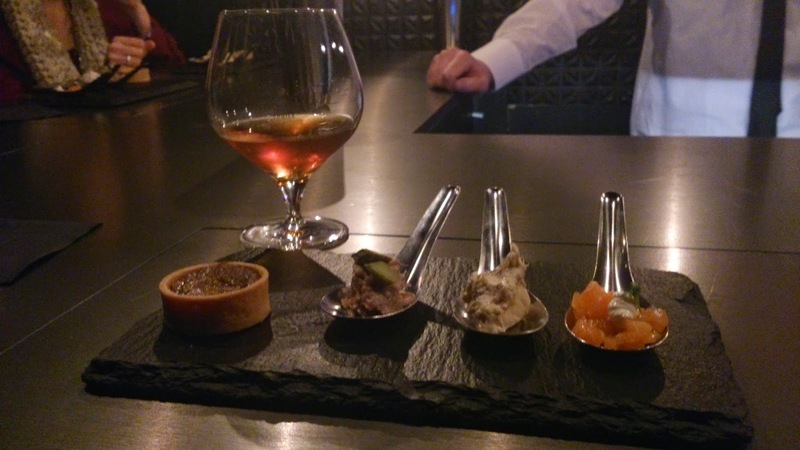 (L-R) Treacle tart, duck, mackerel, salmon. Look at that lovely little slate. I want all my food served on a slate from now on. And on tiny spoons. 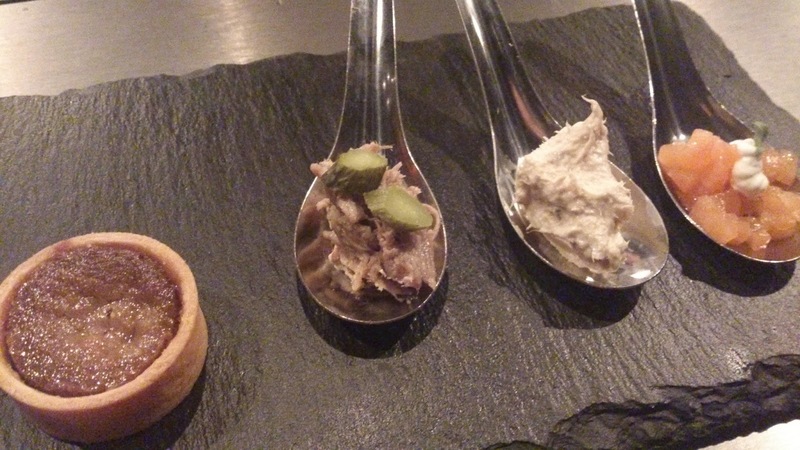 We paired each ‘dish’ with a different beer, my favourite being Chalky’s Bite with the mackerel which brought out and enhanced its deep, smokey flavours. 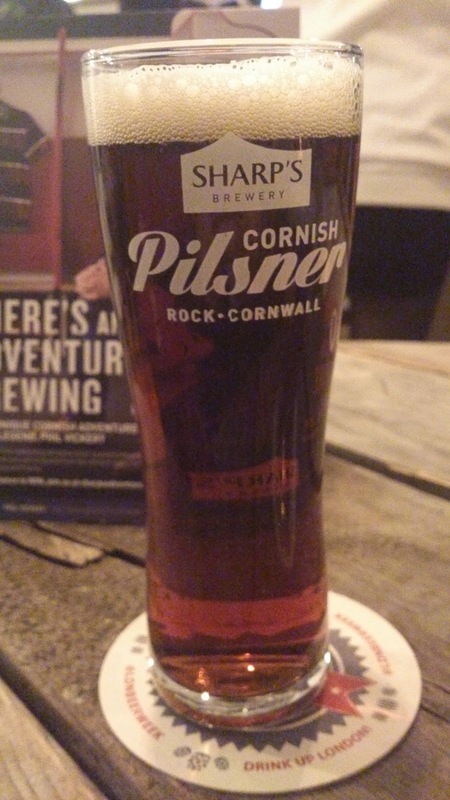 Now, I’m just going to put this out there: I’d never tried Chalky’s Bite because the label was so bad I assumed the beer would be too. This delicious little number proved me wrong (I promise not to be such a label snob from now on). Stand out individual beer of the evening was the Honey Spice Tripel; a beer that I will probably never drink again due to there only being a few cases left in the world. 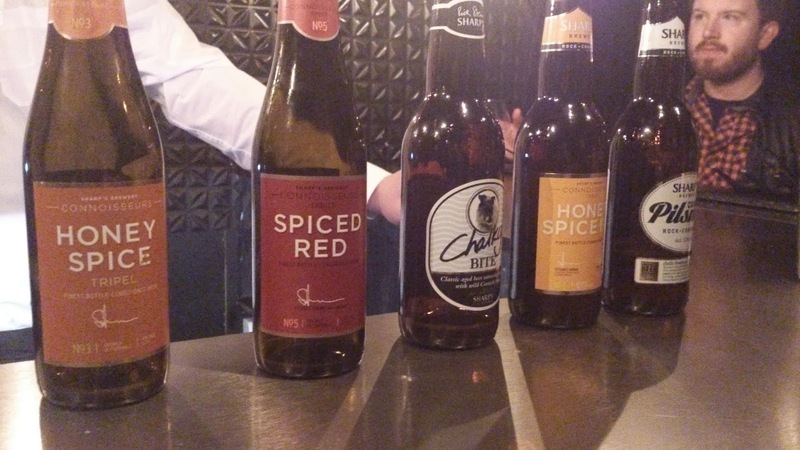 I’ve never known a honey beer to give off such an incredibly strong scent of fresh honey and, paired with the treacle tart, it really was superb. And then, before we knew it, it was all over and we were heading back to the bar for a swift half of their Pilsner and High Five IPA. I never expect too much from festival beers, but I was blown away by the High Five. It was bursting with the aroma of peaches which followed through in the taste; like the syrup you get in a can of peaches, but with a hint of bitterness to avoid it being overpoweringly sweet. I thought about nipping behind to steal a keg, but the the staff looked faster than me.